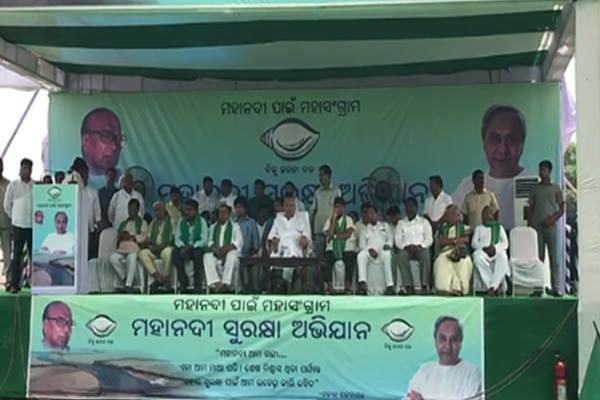 Bhubaneswar: Chief Minister and BJD supremo Naveen Patnaik today flagged off the second phase of Save Mahanadi campaign (Mahanadi Surakhya Abhiyan) from Sukhasoda village under Lakhanpur block in Jharsuguda district, where Mahanadi enters Odisha from Chhattisgarh. “BJP leaders in Odisha are supporting Chhattisgarh for its projects on Mahanadi and shedding crocodile tears after coming here,” Naveen said addressing a public meeting at Sukhasoda. “Mahanadi remains dry in most of the year except rainy season. 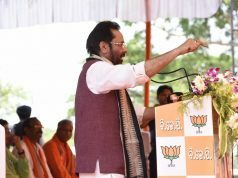 If BJP leaders of Odisha have sympathy for people of the State, they should oppose the neighbouring Chhattisgarh for the projects,” he added. Mahanadi is the lifeline of Odisha. The BJD-government had moved the Supreme Court for the rights of Odisha, following which Mahanadi tribunal has been constituted. The Mahanadi is drying in Odisha due to construction of barrages by Chhattisgarh. The water-level at Hirakud dam is also decreasing, he further added. Construction of barrages will result in availability of water near the barrages only but can’t solve water scarcity along 500-km stretch of Mahanadi. There will be lack of water for cultivation of Rabi crops. The fishermen will also lose livelihood. So, those are talking for construction of barrages, people are now aware of their double standards, he explained. “We will not let Mahanadi to dry. 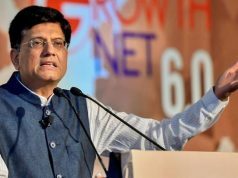 It is not a fight of BJD rather people of Odisha for our next generation,” he concluded. The campaign was also launched at Chikili village under Ambabhona block of Bargarh district. 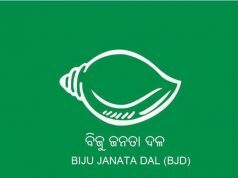 The BJD’s second phase agitation will continue for around a fortnight and the rally would pass through 15 districts – Jharsuguda, Bargarh, Sambalpur, Subarnapur, Boudh, Angul, Dhenkanal, Nayagarh, Cuttack, Khurda, Jajpur, Kendrapara, Puri and Jagatsinghpur and culminate at Paradip. During the yatra, meetings, roadside gatherings and cultural programmes in villages and towns on the routes of the rally will be held, said Labour Minister Susant Singh. Besides, diyas would be offered to the Lords in all old temples on both sides of the river including Maa Samaleswari in Sambalpur and Lord Gadagadeswar in Cuttack, Singh added. Odisha has been objecting to constructions of projects on the upper catchment of Mahanadi by Chhattisgarh.